The disappearing platforms at Capcom were too much for Keiji Inafune, who is leaving the company after 23 years of service. Mega Man creator and longtime Capcom employee Keiji Inafune seems to have been in turmoil over the past few years. After constantly bashing the Japanese game industry, he recently said that he hates his job. Today, that turmoil may have come to a head, as Inafune announced that he'll be resigning from Capcom after more than 20 years at the company. Inafune rose through the ranks of Capcom with Mega Man at his side, but also worked on titles such as Onimusha and the recent Dead Rising 2. Though he began as a character designer, he eventually became the head of various Capcom divisions. Inafune posted on his blog that he's hit the ceiling and says there is "nowhere higher for me to go." He writes: "I'm leaving Capcom with the intention of starting my life over." Despite Inafune's earlier statements that made it seem like he wanted to retire from the videogame industry, he's not going to be taking a break. Inafune says he's looking for "his next challenge," but didn't say what it might be. This appears to leave the recently announced Mega Man Legends 3 and Mega Man Universe without Inafune's future guidance. 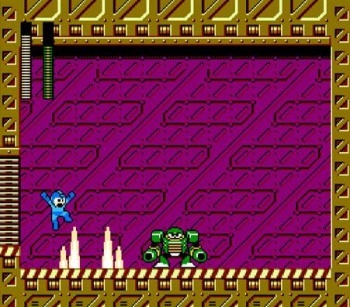 It's a fairly big loss for Capcom as Inafune has been a key figure in the company's history since the NES era. Thankfully, he appears to still have a desire to create new games, just not at Capcom.